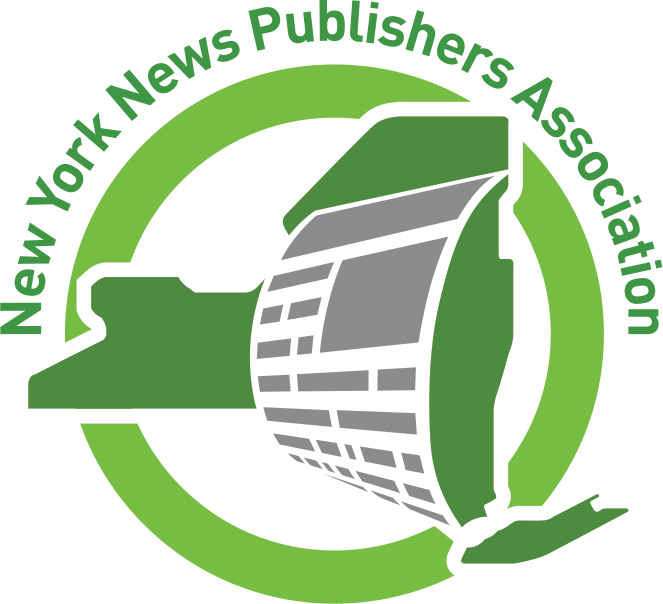 NYNPA produces two regular electronic newsletters: "In a New York Minute" is NYNPA's weekly e-newsletter containing NYNPA, member, and industry news, while the "NYNPA niE-News" is a monthly e-newsletter containing news related to Newspapers in Education. Sign up for "In a New York Minute"
Sign up for "NYNPA News Media Literacy/NIE Newsletter"
For Association news, see below. The Governor’s budget proposal, as always, contains a wide array of policy proposals that go beyond fiscal matters. The budget documents consist of Appropriations bills, which do contain (primarily) detailed descriptions of state revenues and expenditures, and Article VII bills, which are introduced in accordance with Article VII of the state Constitution, and which contain policy proposals. This year’s budget contains some proposals which have been introduced year after year, and some which are new. The budget is due to be passed by April 1. 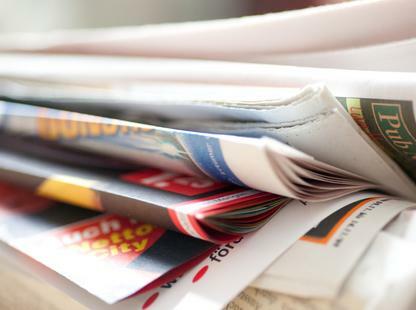 Every year, the Governor proposes legislation to scale back or eliminate paid newspaper public notices. A recurring proposal pertains to notice of bid opportunities on infrastructure work. Current law requires most state agencies and local governments to place paid newspaper legal notices seeking bidders on proposed public works contracts. In recent years, the Governor has expanded the list of agencies authorized to use alternate methods of performing public works projects that consolidate the entire process under one private contractor. Contractors are selected from a list the state develops through “publicly advertised” requests for applications. To date, those requests have often been published in newspapers, but the legislation does not specifically require it. The Transportation Economic Development Article VII bill (S.1508/A2008) expands the 2011 Infrastructure Investment Act, which authorized a pilot project enabling a handful of state agencies to use a variety of alternate contracting methods for large projects such as the Tappan Zee Bridge, rather than the traditional “design-bid-build” method of issuing contracts for public works. If enacted, the budget would add the Dormitory Authority, Urban Development Corporation, Department of Health, Office of General Services and Olympic Regional Development Agency to the list of authorized entities, and would add a variety of alternate project delivery methods to the existing design-build and best-value methods. Current law applies to highways and bridges, and this legislation adds public buildings. The threshold for using an alternate project design method would be lowered from $5 million to $1.2 million. The Legislature has significantly scaled back the scope of these proposals in recent years. It remains to be seen whether the Assembly and the new Democratic Senate Majority will push to limit the application of the legislation. The Legislature has very little actual power to alter the Governor’s budget proposal. 1) Amendments to FOIL would discourage law enforcement agencies from publicly disclosing the identity of persons who have been arrested. Part II of the Public Protection General Government Article VII bill (A.2005/S.1505) would add disclosure of booking information and mug shots to the list of information for which disclosure is considered an “unwarranted invasion of personal privacy.” The legislation does not forbid disclosure by police agencies, although the preamble to the actual bill text claims it would. However, the addition of this language to FOIL could make it more difficult for news organizations to litigate FOIL cases involving arrests, and could make it easier for police agencies to conceal arrests of fellow law enforcement officers or politically powerful individuals. 2) Another proposal returning from previous years is found in Part BB of the Public Protection General Government bill. The legislation would subject the New York State Legislature to the same section of FOIL which governs state and local agencies. Currently, the Legislature is subject to Sec. 88 of Public Officers Law, which includes a list of the types of documents the Legislature must make publicly available. Shifting the Legislature to the executive section of FOIL would make most records available, with exceptions for personal privacy. Some new records which might become available could include legislators’ schedules and some non-personal correspondence. Nearly all other records are currently public. The same section of the bill would allow for disclosure of proposed terms of collective bargaining agreements involving public employee unions. Records pertaining to “critical infrastructure” could also be kept secret if disclosure might endanger the life of any person. Records deemed to be of significant interest to the public would be proactively disclosed on the website of the respective house of the legislature and all agencies. Businesses seeking to have information they provide to state government shielded from public disclosure as trade secrets would need to identify in detail which portions of records they believe should be secret, and would need to periodically reapply for permission to have the documents shielded from disclosure. Appeals would be expedited. Records of call to county E-911 lines would no longer be exempt from FOIL. There is one major difference this year, in that the proposals are contained within a bill that is an integral and necessary part of the budget, and which the Legislature has very little power to alter. In earlier years, it was contained in a standalone bill that was never brought up for a vote. The Health and Mental Hygiene Article VII bill Part R (p. 187) sets up one or more Maternal Mortality Review Boards within the state Department of Health. Presumably, the initiative was prompted by investigative reporting by The New York Times revealing an alarming increase in childbirth-related deaths of women in the United States. Although data provided by the Commissioner of the Department of Health to the Maternal Mortality Review Board will be scrubbed of any information that would identify the woman, any doctor or hospital or even geographic location, the Board is specifically exempt from FOIL and the Open Meetings Law. Instead, it will issue a public report. Confusingly, the legislation also references an advisory council within the Department of Health to review the findings of the Maternal Mortality Review Board, which will develop policies based on the findings, and there is no language indicating whether the advisory board will be subject to FOIL or OML. Part H of the Transportation Economic Development bill (A.2008/S.1508) bans the use of plastic carryout bags, but specifically exempts from the ban plastic bags that are used in newspaper home delivery. The Public Protection General Governor bill, Part V, would enact enhanced criminal penalties for anyone who physically assaults a working journalist, amending a section of law which applies to a list of public and private employees, including transit workers, school crossing guards, and health care workers. The Education Labor and Family Assistance Article VII bill (A.2006/S.1506) adds the newly protected categories of gender identity to laws which prohibit discrimination in advertising for housing, employment and places of public accommodation. Advertisers would also be prohibited from discriminating on the basis of a person’s “lawful source of income,” which presumably refers to public assistance. The legislation also seeks to eliminate unscrupulous consultants who falsely claim to be able to assist military veterans in obtaining benefits, and imposes disclosure language on any advertising promising assistance in exchange for payments. All of these bills are available for review on the websites of the Assembly and Senate, as well as the New York State Division of the Budget. The entry must have been originally published either in print or online during the contest eligibility period of January 1 to December 31, 2018, or be part of a series that either began or ended during that period. The entry must not have been entered in a previous incarnation of this competition (Ex. the 2017 contest), either individually or as part of a series. The entry must meet any additional criteria of a given category as outlined in that category’s description. All entries must be received no later than Monday, March 18, 2018 at 5:00 p.m.
For more detailed information on the awards click here.